All in all a relaxing Sunday! 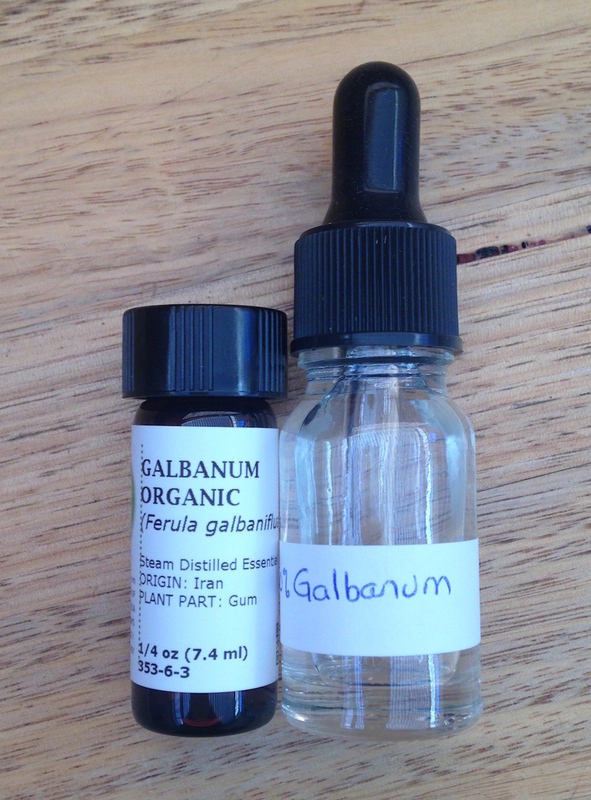 Galbanum was one of the first perfume ingredients I bought years ago – it sounded interesting. At the time though I was not ready for such an ingredient! Only now am I appreciating it’s full beauty. Galbanum essential oil is steam distilled from the resin collected from the ferula galbaniflua flowering plant. Galbanum has an initial intense slap in the face fresh green aroma, with peppery nuances. It seems to be both hot and cool at the same time. Upon dry down it reveals balsamic wood notes. As I mentioned in my previous post I am currently working on a green floral. I’m loving the versions with the intense green galbanum note but I’m mindful that there are going to be people who may not be up for the challenge of galbanum – just like I wasn’t at the start of my perfume journey. So, today I went for a trip to the department store to try out Chanel No.19, to find out how “green” does a commercial fragrance go. I certainly did detect some “green” freshness in the opening but I did not find it overly intense. So it leaves me to ponder whether to go intense or hold back a bit on the bracing greenness of galbanum. I have fond memories of sampling the Aftelier Haute Clair a few years back (which is now a retired fragrance) and my assessment notes at the time say it was very green, peppery, fresh with a sweet floral heart. I do remember that the galbanum was quite pronounced and yet well balanced with the creamy floral ylang ylang. I’m really enjoying working on this fragrance as it’s a departure from my preference for oriental style fragrances and spicy gourmands. So hopefully there will be a new èrlithe fragrance release in the not too distant future. 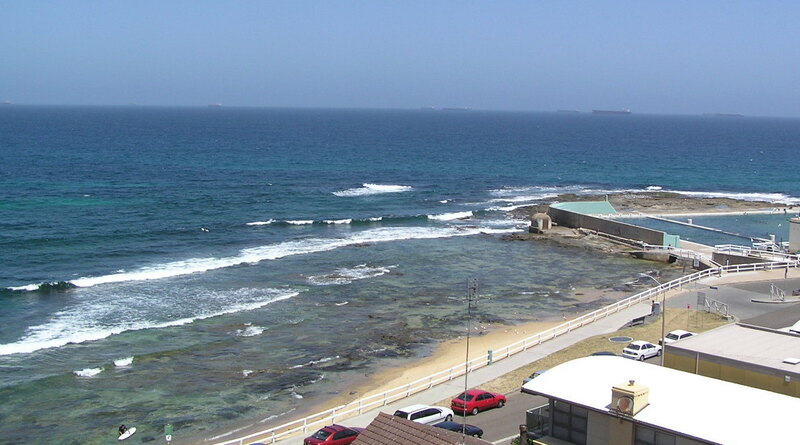 The past 3 years living in Tasmania has been a wonderful experience, however, I am incredibly excited to be back in Newcastle and it has a lot to do with being close to the sea. 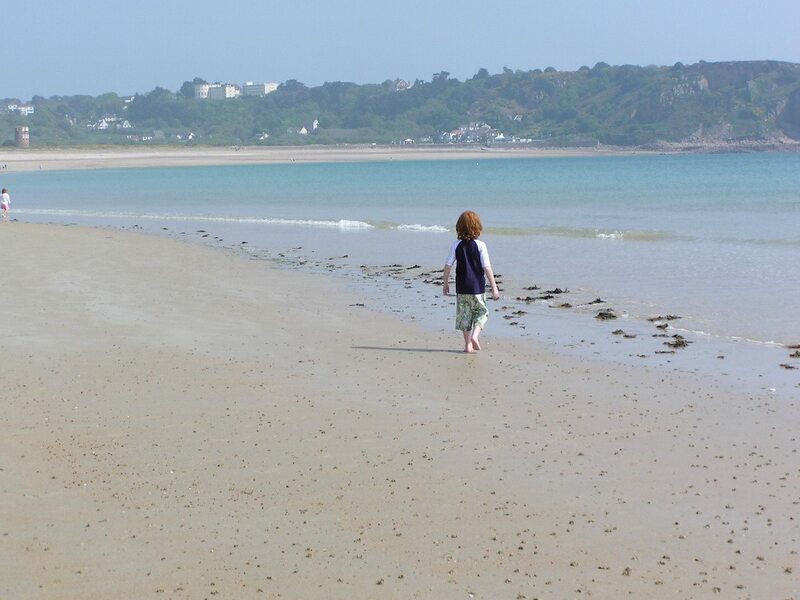 If you follow this blog, you may be aware that I grew up in Jersey, Channel Islands. It’s a small island and so the coast is never that far away. Because of this, I feel an affinity with the coastline. I kind of get my bearings from it (which I desperately need due to my very poor sense of direction!). The sea makes sense. The smell is familiar. It smells like home! The one thing that I found disconcerting in Tasmania was not being close to the sea. Being inland confuses me. A strange sense of unease comes over me when I am inland. It makes no sense of course. I think it simply comes down to knowing what you know and the comfort of familiar smells. 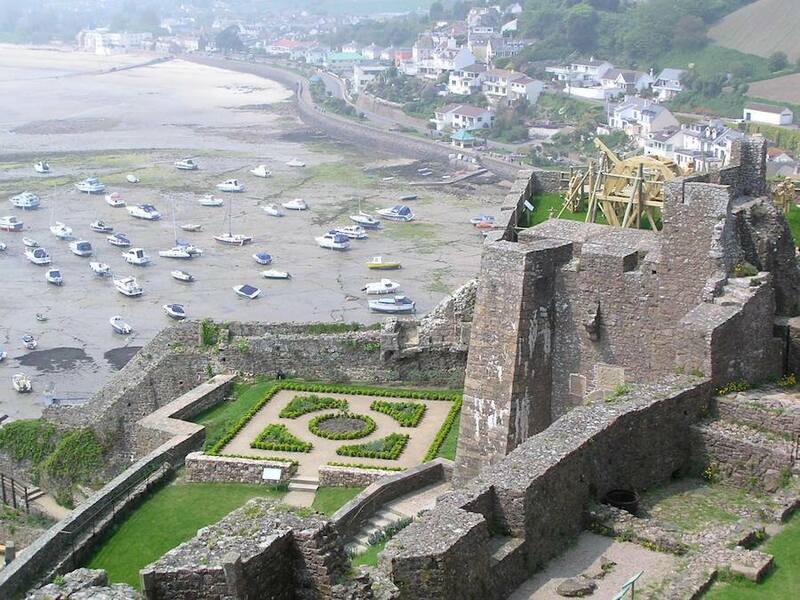 Jersey is an island of castles and forts by the sea. One of my fondest memories is of a school trip to stay overnight at St. Aubins fort. We were taken there at low tide and overnight the fort was surrounded by the sea. I peeked out the small window slits as I settled to sleep. I was up at the crack of dawn whilst all my class mates were still fast asleep and snuck outside. It was then I had one of the most memorable moments of my life – alone on a fort wall, surrounded by the sea and sea air with the first rays of the rising sun. 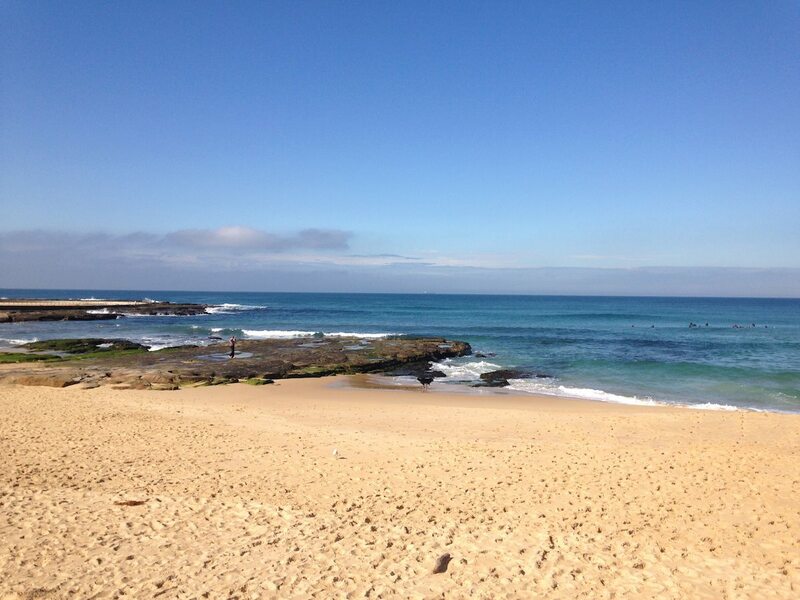 And now here we are back in Newcastle enjoying the smell of the sea! 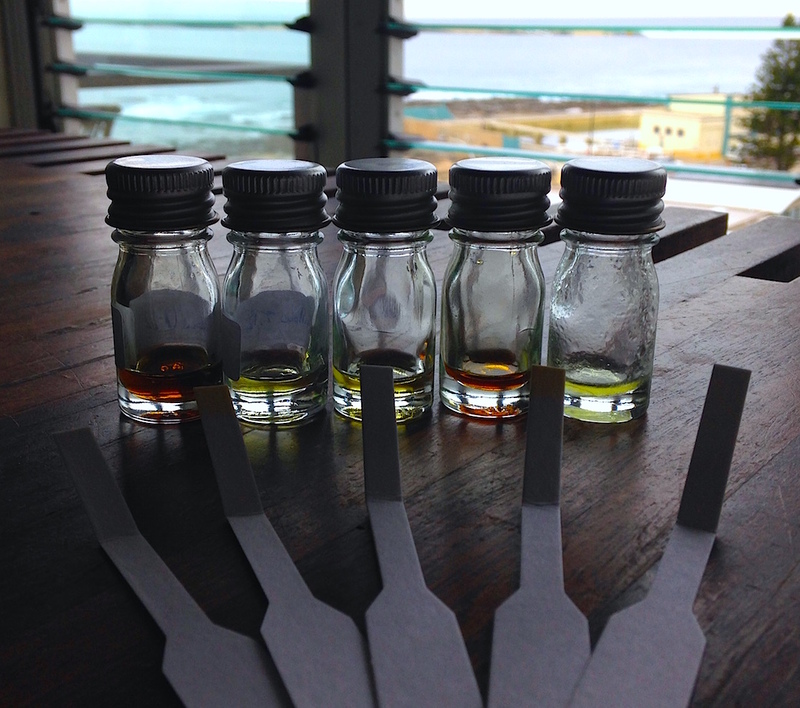 Now that my perfume supplies are basically unpacked, I’ve spent the last couple of days tweaking a sharp green floral fragrance I had started working on some time back in Tasmania. I’m excited with how it’s smelling on the scent strip. I’m now just letting the ingredients get to know each other a bit before I dilute to test on my skin. Here’s hoping it plays as well on skin as it does on the strip. Otherwise it’ll be back to the drawing board. During the frequent home inspections when our house was on the market, I employed the power of aromatherapy to create a subtle, non synthetic welcoming aroma to my home. Apparently if you are trying to sell your home you shouldn’t have aromas that are too complex, basically it can detract from the job at hand – namely looking at your home. So if the potential buyers brain is distracted by trying to work out the odour their attention becomes divided. The advice I found on the internet was to keep aromas simple. Citrus and vanilla are apparently good choices as they are easily recognisable scents, along with the well known fresh brewed coffee and freshly baked bread aromas. 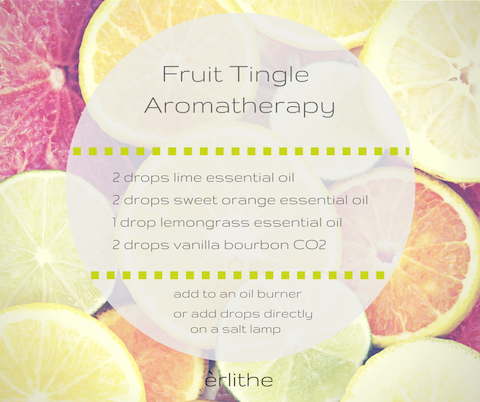 So, I concocted a fizzy, citrus fruit tingle like aromatherapy blend that was kept subtle by placing only a few drops on my salt lamps. The heat of the salt lamp gave a very gentle and subtle release of the scent so it wasn’t too obvious. 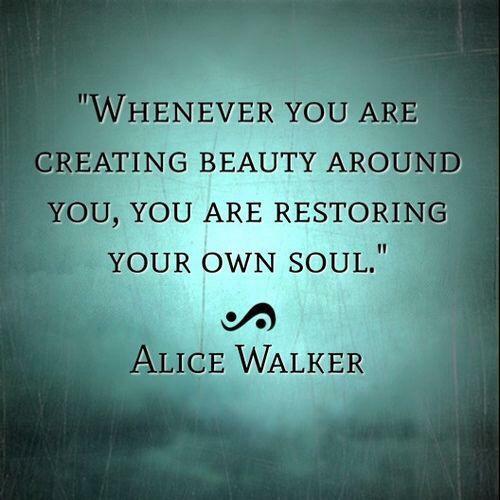 I have no idea if it helped at all but it became an enjoyable ritual like process for me! 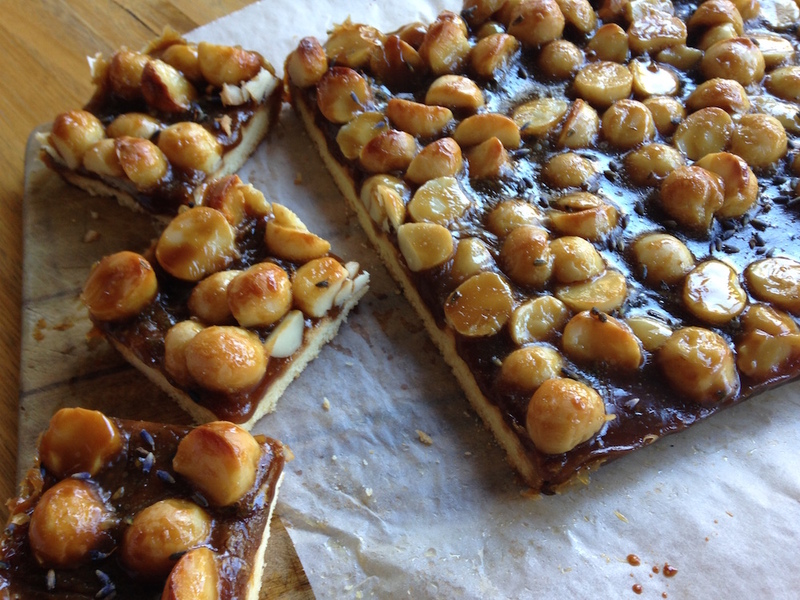 Recently I made a Caramel Macadamia Slice for a dinner party and it was devoured very quickly! I was wondering how I could change the flavour of the caramel and decided to give Tasmanian lavender a try. I also thought the caramel would be wonderfully enhanced by the addition of Tasmanian Leatherwood honey with its rich, full bodied flavour and spicy undertones. 1. Preheat oven to 180°C or 160°C fan forced. Grease and line an 18 x 28cm slice pan. 3. Bake for 20mins until puffed and golden. 4. Meanwhile, prepare caramel topping. Place the brown sugar, butter and honey in a heavy-based saucepan on low heat. Stir for 5 mins, until butter melts and sugar dissolves. Simmer, without stirring for 10mins,until caramelised. Add salt, lavender and nuts. 5. 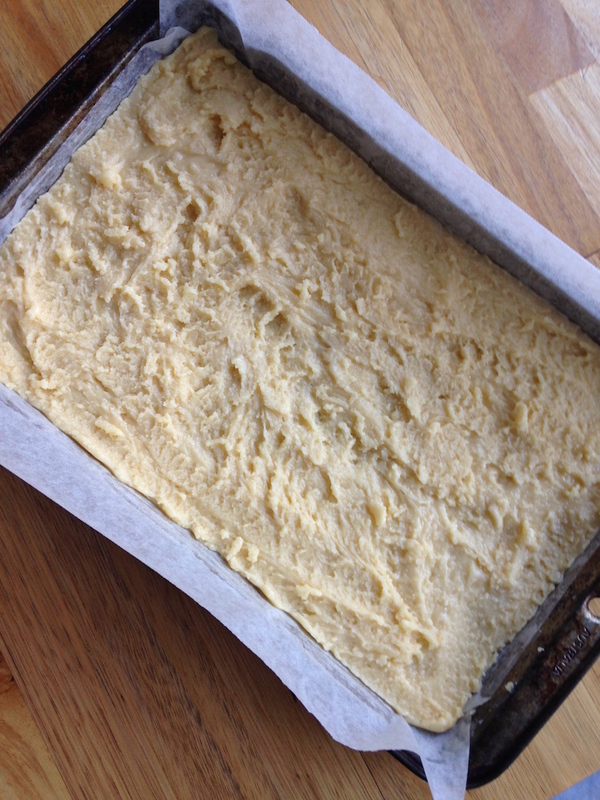 Pour topping over base and working quickly, spread evenly. Bake for a further 10mins, until topping is golden. Sprinkle some extra lavender flowers over the top. Cool in pan. Slice. I’m looking forward to trying some other flavour combinations such as: rosemary, rose and black pepper, and orange blossom and cardamom using the Aftelier chefs essences. My learning to draw journey. It’s another dreary, rainy winters day here in Tasmania. The plus side of the rain is that the temperature is somewhat more mild in comparison to the recent freezing, icy temperatures we’ve had. I should be packing but I’m not. Instead I’m having a lazy day. Back in September last year I wrote a blog post that I was learning to draw. I’ve been somewhat reluctant to share my drawing endeavours here on the blog because I’ve been trying to only focus on perfume related articles. Yesterday my favourite perfume blogger Maxine Claudelle of ‘hertwoscents’ wrote a fabulous blog entry: “cross-pollination”. 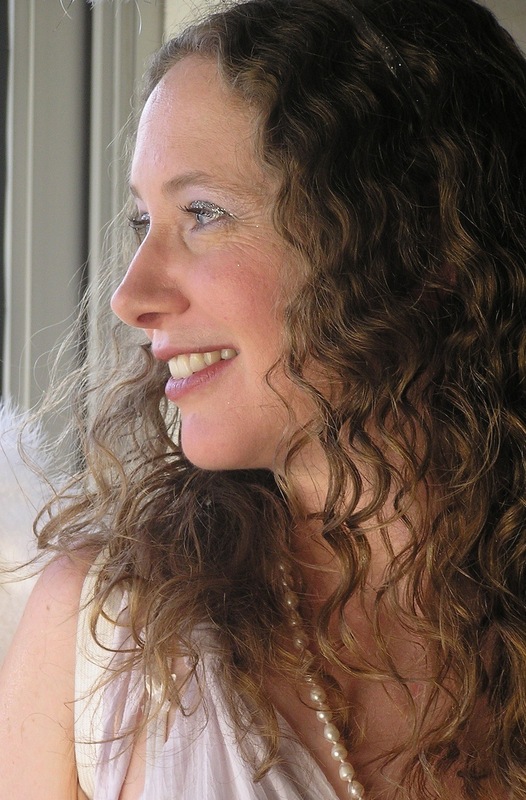 It’s a wonderful post about how “learning about art is a wonderful support and partner to learning perfumery.” Maxine has a beautiful way of expressing her thoughts and is doing a fantastic job of sharing her journey with learning perfumery. 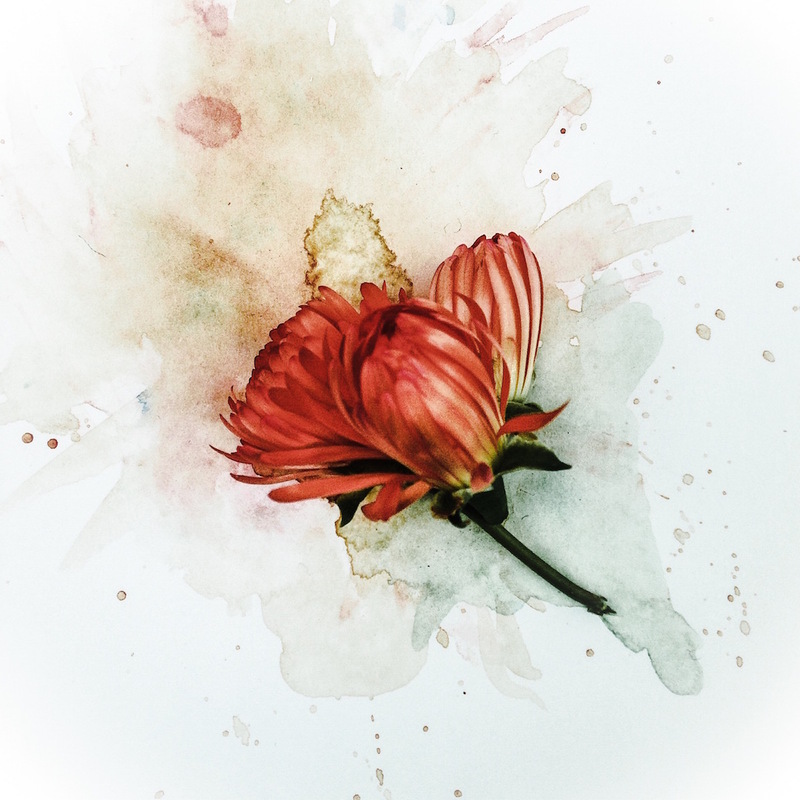 Her post ‘cross-pollination’ has inspired me to occasionally share on this blog my other pursuits – particularly my learning to draw journey which I was going to keep entirely separate from this blog. So separate in fact, that I recently began another blog specifically for that purpose: Mabel Star. In case you are wondering about the name, I had tried to use my own name but it wasn’t available. Given that it had taken me a million years to come up with èrlithe, I chose a random generator for the blog name. I now quite like the name Mabel! 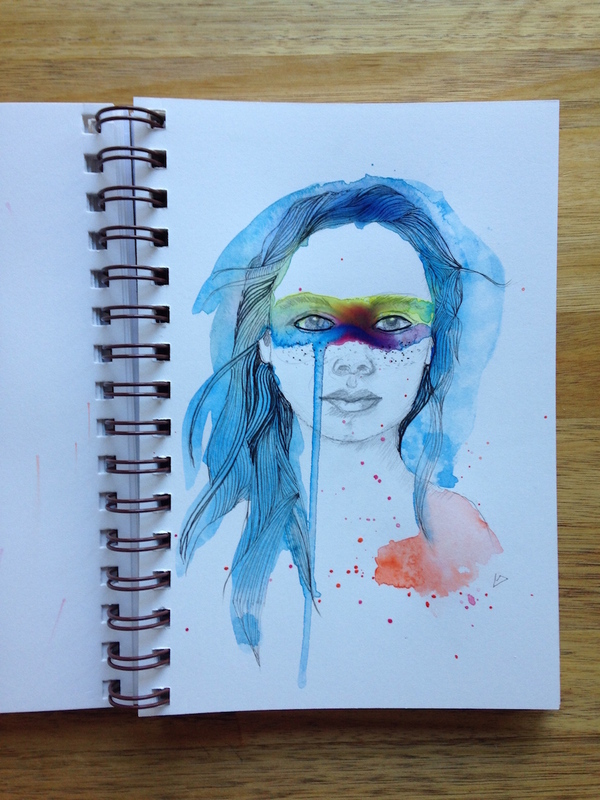 The picture that I based my OkArt inspired sketch can be found here on Fubiz. 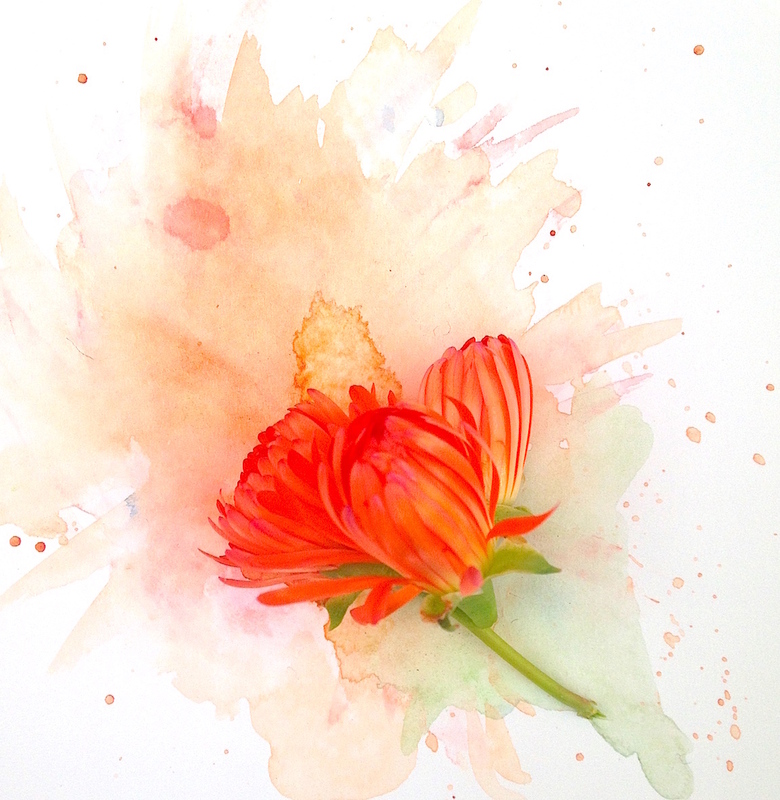 I love watercolours and so I’ve been dabbling a little with that medium. 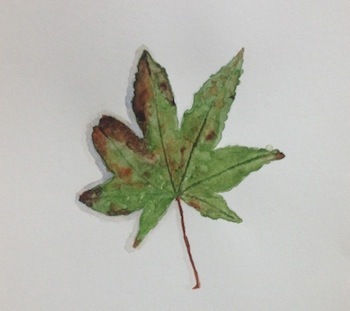 On one of my walks I picked up a leaf and had a go at doing a watercolour leaf. I was quite happy with my first attempt. It’s sad to have to temporarily put my perfume making on hold but the learning to draw journey is a great portable activity to continue on with to satisfy my need to create! Boy does time fly! I was really shocked when I realised my last entry here on the blog was November last year! Yes that’s right, we are moving! After recovering from the niche markets and lead up to Christmas followed by attending the opening Mona Market in January, my husband and I made the massive decision to leave Tasmania and return to our former home in Newcastle, NSW. In order to do this we have needed to put our home in Tasmania on the market and wait for it to sell. This required a massive down size in order to be able to fit back into our smaller home in Newcastle – garage sale, followed by donations to charity and the remainder in a skip! Sadly all of my perfume making equipment had to be put in a cupboard so that the house looked more desirable to potential buyers and I can tell you having everything stored away is not conducive to running a business efficiently! As such, I’ve had to knock back markets and wholesale enquiries which has been very disappointing. Caring for children, continuing in my part-time employment as a Registered Nurse and in my research position at the University, helping my husband set up his company, as well as keeping the house and garden spotless for frequent home inspections has been very tiring! So, my beautiful perfume business has been on a temporary hold. Our home here in Tasmania has finally sold and we will be moving next month. We will be sort of ‘homeless’ until the end of July as once we leave Tasmania we have to wait for our tenant in our Newcastle home to move out. I’m hoping that everything will be settled by the end of August and that the perfumes will be back online in September. 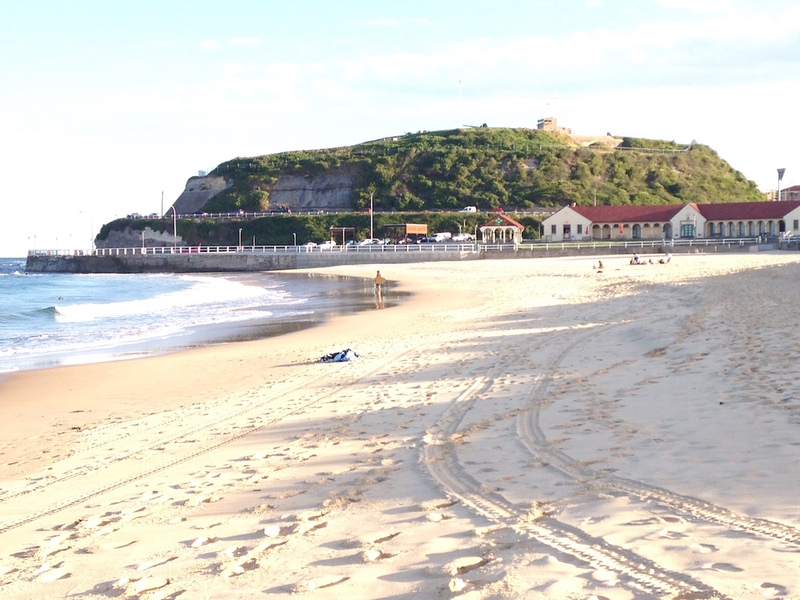 I am excited about returning to Newcastle and being close to family and old friends again and it is going to be fantastic to be back near the beach. In the meantime I apologise for the unavailability of my perfumes from the website (although online stockist chikii still has a few left in stock and they are on sale!) but I will be working hard to get everything up and running again as soon as possible. Recently I went for a lovely drive to The Honey Farm located in Chudleigh, Tasmania. Chudleigh lies in a little valley with the awesome Great Western Tiers as the backdrop. Chudleigh is also very close to Mole Creek Karst National Park – an area renowned for underground caves, underground rivers, caverns and glow worms! It is a breathtakingly beautiful, pristine part of the world. 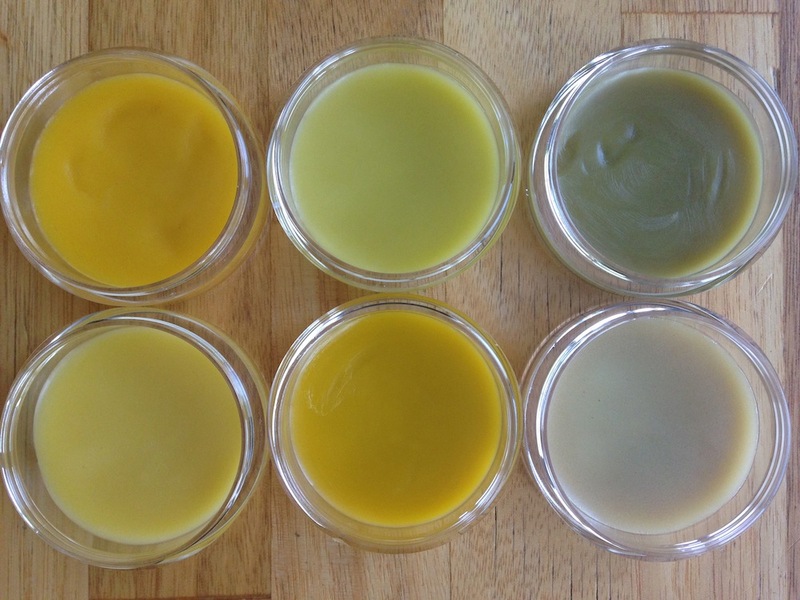 And here are the solid perfumes made from the beeswax with jojoba, essential oils & absolutes: Solar, Rose Tea & Forest. SOLAR: is a radiant blend of juicy citrus, jasmine grandiflorum, bitter orange absolute and amber. ROSE TEA: is a bohemian rose & tea, with a heart of rose centifolia and damascena delicately surrounded by tea notes of bergamot, rooibos red tea and frankincense, on a base of patchouli and oud. FOREST: dappled rays of citrus dance amongst the fir and pine trees, before casting light on an earthy forest floor of vetiver and incense. These have been a real delight to make. There seems to be something calming and meditative about the preparation of solid perfumes – I think it has to do with the grating and melting of the beeswax! After adjusting of ratios, these have turned out to be a lovely creamy consistency that melt right into the skin leaving an intimate veil of scent. These will initially only be available at the Launceston niche market. I should then have them available online in the new year. 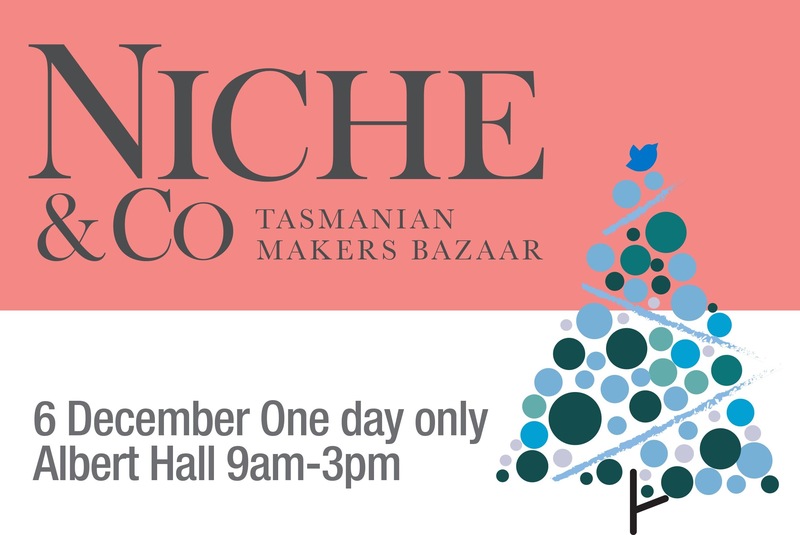 èrlithe will be at Niche & Co this year! I’m very excited to announce that our application to attend this years niche market in Launceston,Tasmania was accepted! There were over 500 applicants with only 51 places available! I’m also hoping to have a few new items available for sale on the day which will eventually make their way to the website. These new items are solid perfumes and fragranced bath salts. The solid perfume fragrances that I have settled upon are: jasmine, rose & red tea, fir and neroli. Jasmine is my “smell” of the month and the solid perfume has turned out to be insanely gorgeous. I just wish there was such a thing as ‘smell -o-net’ so you could smell what I mean!